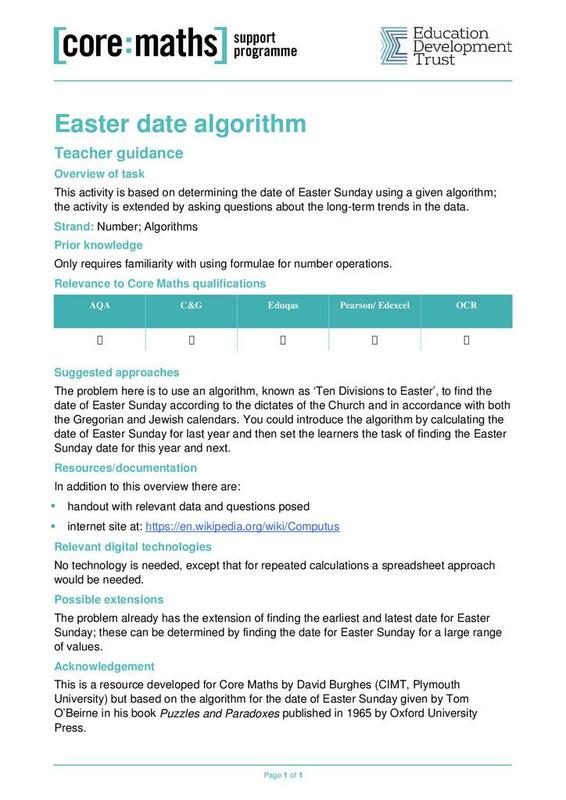 This activity is based on determining the date of Easter Sunday using an algorithm known as "Ten Divisions to Easter". The activity can be extended by asking questions about the long-term trends in the data. Teachers' notes give a suggested approach to the topic and provides ideas for extensions. 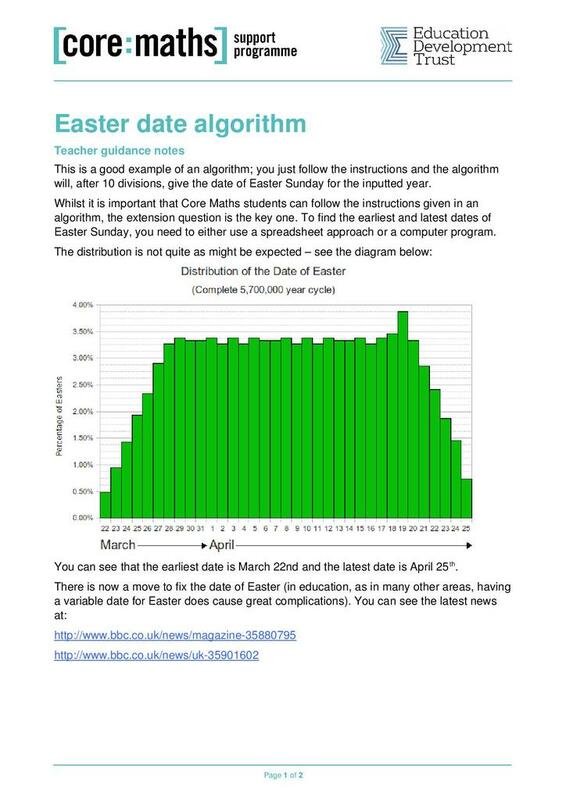 Students can explore the earliest and latest possible dates Easter can occur and the probability for Easter happening on any of the possible dates. For this part of the task access to a computer is essential. 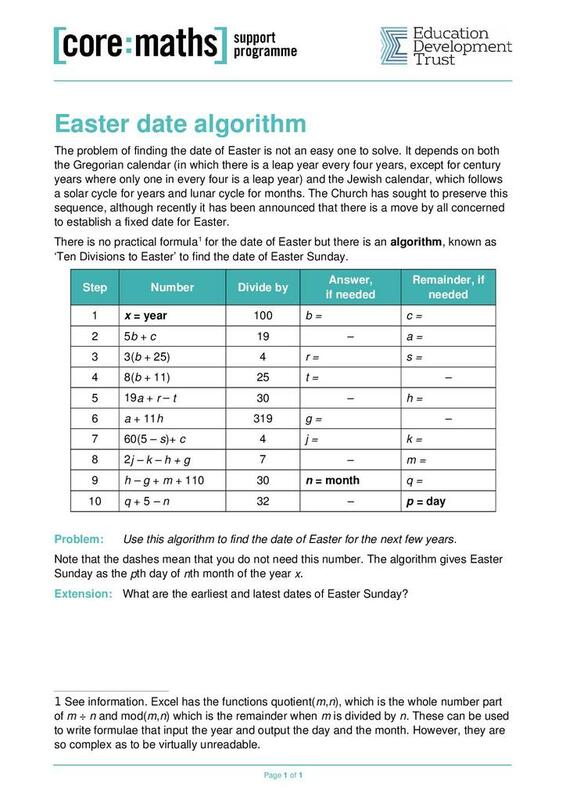 The activity sheet contains a brief background to the topic and shows each step of the algorithm.